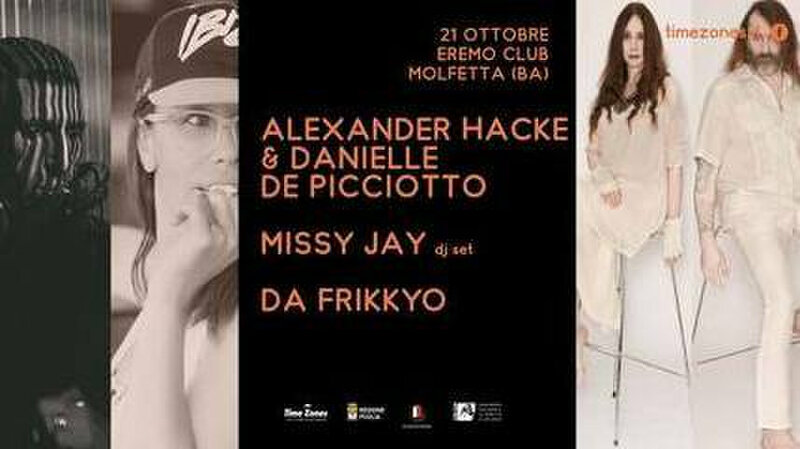 London, UK - Oct. 12, 2017 - DJ Missy Jay will be DJing at the prestigious Time Zone Festival in Bari, Italy on Oct. 28, 2017. The theme of this year’s event is “On the Way of Possible Music” and features one of the largest gatherings of DJs and music artists from around the world. Also appearing at this year’s Festival will be American DJ, Jeff Mills. He’s the founder of the techno collective Underground Resistance and the owner and founder of the Chicago, IL-based Axis Records. He received mention in the lyrics of an Eminem song, was featured in the documentary “Man From Tomorrow” about techno music, and holds a knighthood by the French Ministry of Culture. He’s an artist who has exhibited works internationally, a filmmaker and producer. Since its inception in 1986, the Time Zone Festival has been an event in which innovative new and established artists have performed and gained acclaim from their peers, often long before making their formal debut within the music industry. The Festival has hosted musical greats that include Japanese DJ, composer and record producer, Satoshi Tomiie, and Dutch composer and DJ, Matthew Dekay in 2016. The annual Festival also features an Underzones segment highlighted by the personal stylings and interpretations of electronic and electroacoustic music from artists around the globe. Multiple styles and genres are represented and the event has resulted in a myriad of collaborations among musicians and industry professionals. Missy Jay’s upcoming performance at the Time Zone Festival in Bari, Italy is a unique opportunity to see one of the world’s top DJs at the top of her game.